With all the debate of "Global Warming" you probably have many questions, maybe even a bit of confusion. This page has been dedicated to "clearing the air" about global warming. For example, "What is global warming exactly?" "What are the effects of global warming on our environment?" "What causes global warming?" "How will global warming affect you directly?" And finally, "What can you do to increase you own "green potential" to benefit this generation and the generations in the future?" Over the last 50 years the global temperature has increased, causing detrimental effects to our environment. According to a recent study in the Journal of Science, scientists state that unless we reduce our global warming emissions the average United States temperature could increase by up to 10° over the next century. Global warming is a process that occurs when carbon dioxide and other air pollutants, including greenhouse gases that collect in the atmosphere absorbs sunlight and solar radiation. Under normal circumstances, this radiation would be released in this space, however their excessive abundance is actually trapping the heat and causing the planet to be hotter. This phenomenon is known as the greenhouse effect. The burning of fossil fuels in the U.S for the production of electricity is the single largest source of heat trapping pollution, with transportation being second behind. The good news is that since 2014, our strides towards a cleaner environment are actually paying off and we can look forward to a cleaner environment for the future and for generations to come. How Global Warming is Linked to the Weather? The one thing that scientist agree on is that the rising temperatures are causing longer harder waves of more frequent droughts, heavier rainfall and more hurricanes. For example, in a recent study in 2015, the extreme California drought was intensified by nearly 20% due to global warming. In addition, ocean temperatures are getting warmer which means tropical storms can pick up more energy. For example a category three storm could turn into a category four storm, the most dangerous of its kind. Some examples include Hurricane Katrina in 2005 and hurricane Sandy in 2012. Other impacts of global warming include extreme heat waves which caused tens of thousands of deaths throughout the years and the and the melting Antarctica which has been losing 34 billion tons the of ice each year since 2002. Unfortunately there are many other consequences of global warming. These include environmental, economic and health. Due to melting glaciers, early snow melt and severe droughts even more dramatic water shortages and risk of wild fires will be seen. We will also see rising sea levels that will lead to coastal flooding along the Eastern seaboard especially in Florida and other areas such as the Gulf of Mexico. We will also see an increase in rainfall levels causing heavy downpours and increased flooding. These will all damage or destroy agricultural and area fisheries. Due to the increase of pollen producing ragweed, and higher levels of air pollution, we will be affected by our allergies, asthma and other infectious disease. Eat Less Meat - Did you know that approximately 1/4 of the average American's “Food-print” comes from red meat and more than a third of the greenhouse gas emissions is generated from the livestock industry? Go Solar - Solar energy produces zero emissions. According to The International Energy Agency or IEA, by 2050 solar power is expected to produce 22% of the electricity worldwide, eliminating CO2 emissions dramatically. 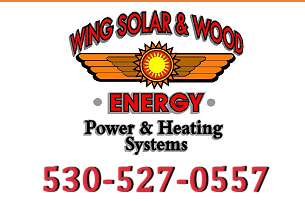 Give our experts at Wing Solar & Wood Energy, Inc. a call today for your free estimate. Carpool/Share a Ride - Did you know that commuters burn an average of 58 gallons per month of gasoline just driving back and forth to work? This produces a staggering 6.2 metric tons of CO2 each year. By sharing a ride with a friend you can help cut that number by more than 50%. Plant a Tree - Not only are trees a beautiful accent to your yard, your new outdoor beauty will actually produce over a ton of carbon dioxide by the time it is 40 years old. Change a Light Bulb - Did you know that your regular light bulbs are wasting nearly 300 pounds of carbon dioxide? Consider changing the light bulbs in your home or business to a more energy efficient alternative. Adjust your Thermostat - Your heating and cooling systems account for nearly 50% of your homes' energy consumption. A simple 2 degrees down in the winter and up in the summer could save at least 2,000 pounds of carbon dioxide emissions while also saving valuable dollars on utility costs. Upgrade your Appliances to Energy Efficient - Energy Star appliances are designed specifically to save electricity. For example, an Energy Star rated dryer can sense moisture so when the clothes are dry, the dryer will shut off automatically, saving up to 20% in energy. Drive A Fuel-Efficient Vehicle - Did you know that transportation accounts for a whopping 26% of greenhouse gas emissions? Fuel-efficient cars, save fuel, release fewer carbon emissions, and save money. Be an Advocate - Encourage your friends and family! Action happens in numbers. 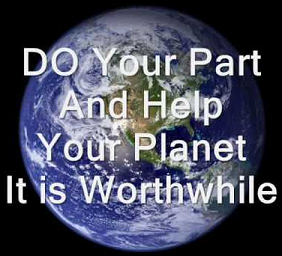 Together, you will make a difference for yourselves and future generations for years to come. Reduce, Reuse and Recycle - Our landfills are a very large man-made source of methane gas in the U.S. Protect your environment, stop sending waste to the "dump!" Now that we know what causes global warming and what global warming is to begin with, how global warming is linked to the weather, and many other effects of global warming, if you are still asking yourself, "What is the first step?" The answer is simple! Give us a call today! Our experts at Wing Solar & Wood Energy, Inc. are here to help. We will be happy to discuss with you all of your alternative energy options including solar.